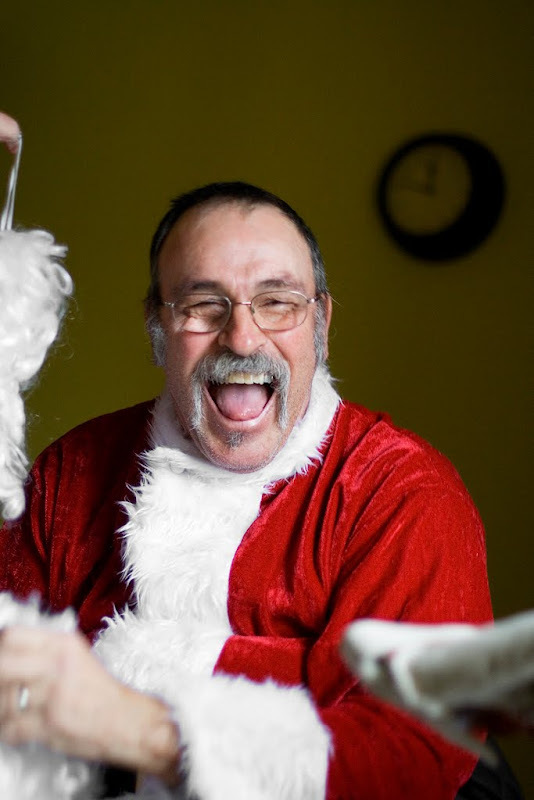 I think your dad really captures the spirit of Santa! Look at that jolly face...you can just feel the absolute blast he is getting out of what he is doing! !